Sassy Etta Mae, the bad girl of the Miss Julie series gets to tell her story. Working as a CNA, the twice divorced bombshell who has a kind heart is is engaged to Howard Connard, Senior, the wealthy elderly community leader, once the major employer in the area. Unfortunately her boss has told Howard Junior who has immediately come from Raleigh, even though he hadn't visited his father for months, and made plans to move him to a nursing home. 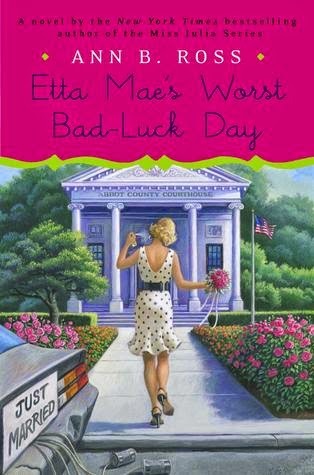 Meanwhile, Etta Mae’s first ex-husband who had left her with nothing but debt returns to to town to tell her he has a winning lottery ticket he wants to split with her but unfortunately he is on the wrong side of a bunch of big bad guys who are hell bent on getting the ticket. When Etta Mae works out a way to free her fiance and get the wedding done in a hurry, every thing that can go wrong does to comic effect.